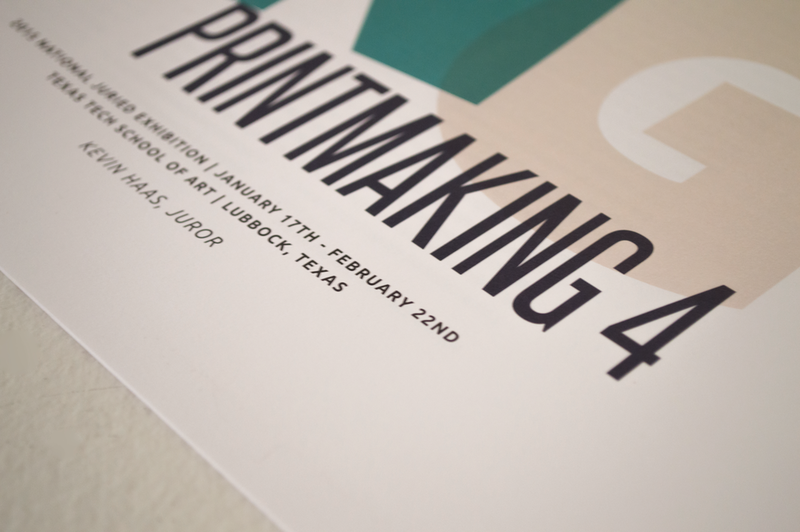 I designed the publication for the juried exhibition, Beyond Printmaking 4, at the Landmark Arts Gallery at the Texas Tech University School of Art. In this publication are the juror's essay, artist checklist, artist biographies, and photo samples. I wanted to have the typography resemble old fashioned letterpess style but in a more contemporary way.